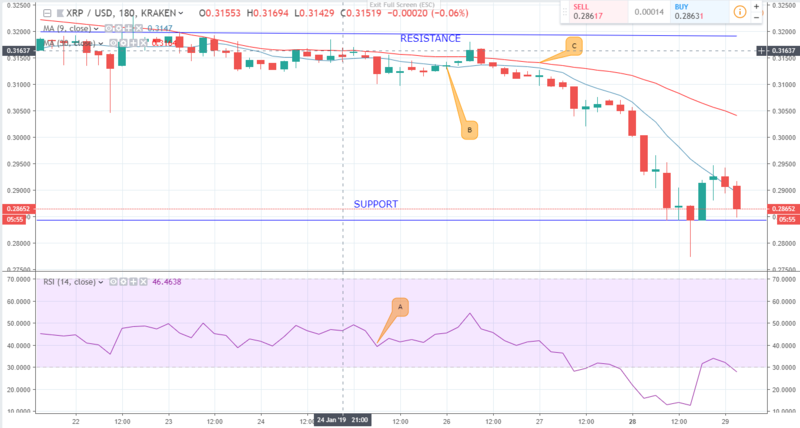 The XRP/USD pair began off the week on a slow upward momentum before the Bears took over the markets. 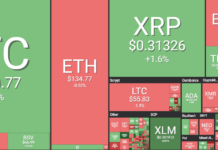 As the week began, Ripple was selling at $0.31794 and is now selling at $0.286. 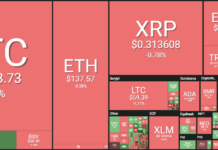 This marks a 10% drop in Ripple’s price over the week. The effect of Ripple’s drop in price was increased sale offs by investors as seen in the coin’s Relative Strength Index (A). Ripple’s 30 day Moving average (C) was dominantly above the 9 day moving average (B) with the two forming a contracting triangular pattern. This signals a string Bearish momentum that is likely to spill over into the month of February. 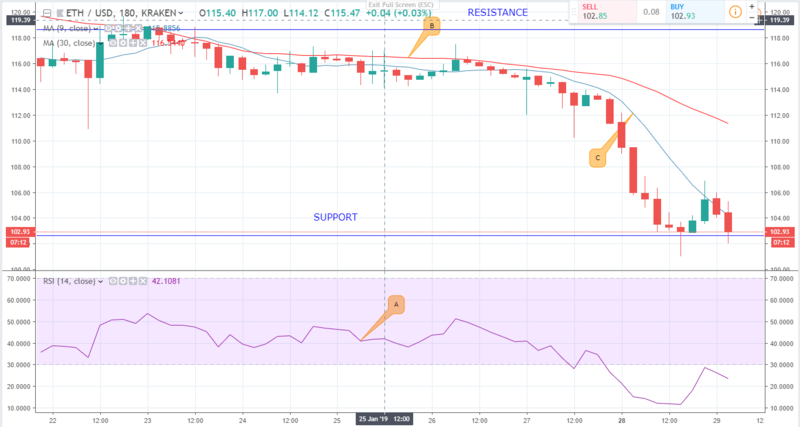 The fourth week of January has been marked with a bearish run for the ETH/USD pair. 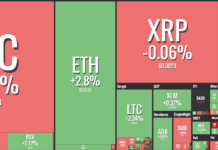 After starting off the week with a slow upward momentum, the tables quickly tuned for Ethereum after the Bears upped their momentum on January 26. This saw the RSI (A) dip into the ‘oversold’ area where it is currently stuck. The bearish momentum appears set to continue with the 30 day EMA (B) and the 9 day EMA (C) forming a contracting triangular pattern between them. Also, the 30 day EMA has been dominantly above the 9 day EMA which signals a strong bearish momentum. 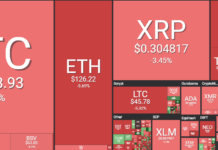 The largest digital coin by market capitalization has been through a protracted Bearish trend throughout the fourth week of January. 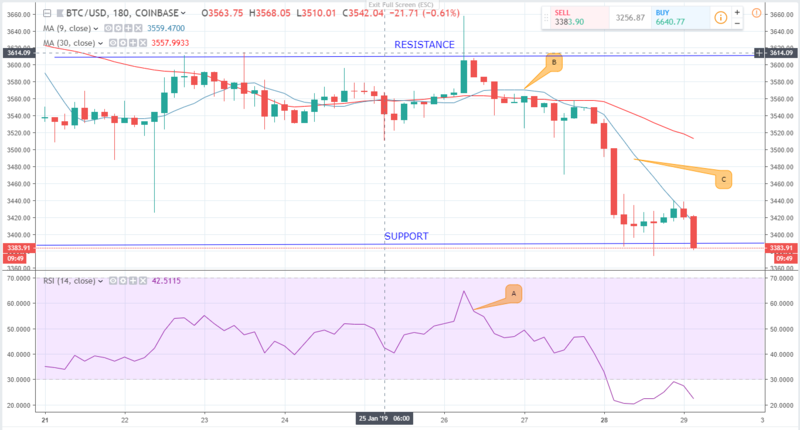 As the week began, Bitcoin had found consolidation above the $3500 mark before the support zone was tested and breached as the bearish momentum increased. The coin is currently oversold as seen in the RSI (A). This shows that investors fear the downtrend may occasion further losses and are selling to avoid them. Currently, the pair is exchanging at $3380 with all indicators showing that the downtrend is likely to continue. The 30 day EMA (B) is above the 9 day EMA(C) which shows that the Bearish momentum may lead to a further drop in Bitcoin’s price. 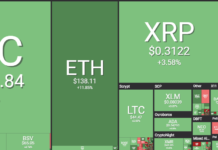 CRYPTO IS COMING! Interested in more crypto content? 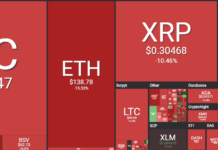 Check out A beginners guide to cryptocurrency investing and Crypto Conflicts: US/China Trade War?